We are thrilled to offer professional websites for companies of all sizes. So, when clients from our hometown of Midland, Texas working in our family industry of oil and gas the jobs particularly touch our hearts. 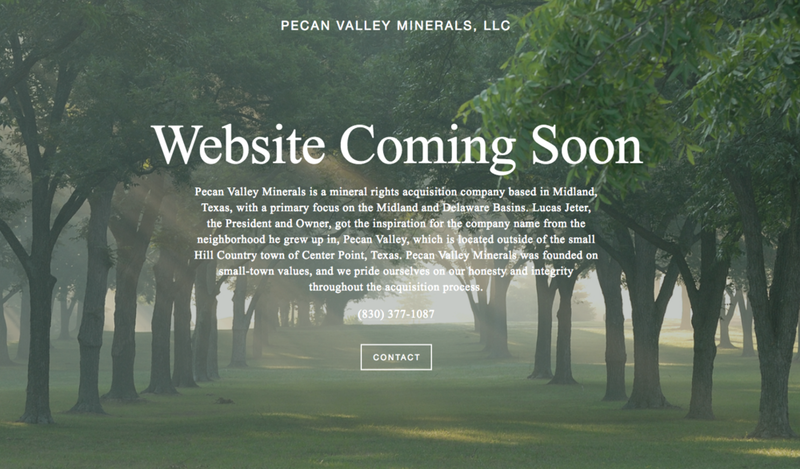 Pecan Valley Minerals, LLC and LANTERN Minerals, LLC have websites that are currently under construction and we will keep you posted on their progress. Welcome to the ABS family of clients! Need a website like this? BECOME A CLIENT TODAY!